The Maine 4-H Foundation is dedicated to supporting the Maine 4-H program. Each year the Foundation provides funding for 4-H legacy and new programs. Our legacy programs include the Karen Hatch Gagne National 4-H Congress Award, the Harold H. Brown Eastern States Award, as well as the Maine 4-H Foundation Endowment Funds held to secure annual support to National 4-H Conference and Congress, Citizenship Washington Focus, Eastern States, Maine 4-H Days, and 4-H at the University of Maine. In addition, volunteers, 4-H youth members, and staff are invited during the course of the year to apply for additional funding for new and innovative projects. 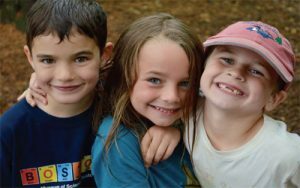 Pitch 4-H grants are made available to active 4-H members in Maine. The Maine 4-H Youth Trustees, in partnership with an anonymous donor, are offering a grant program for currently enrolled 4-H members. The funding will support new small business ideas, new agricultural projects, and/or a new innovative project within 4-H. For a more detailed description, please refer to the application. Funding is available for up to $500. 4-H Club Creativity Grant application ideas should tie into the 4-H program priorities for Maine, including club and community learning projects, philanthropic projects that engage members in the community supporting 4-H program work, and/or new creative educational ideas. Funds can be requested for amounts up to $200; on a rare occasion the grant request may be considered for more than $200. Sponsor: Maine 4-H Foundation Youth Trustees in Philanthropy. Application Form. Please review descriptions of the following funding opportunities provided by the Maine 4-H Foundation. Apply for the one(s) most relevant to your project / aspirations. If you have any questions, please contact us before applying. These scholarships are available to participants in the 4-H Program, pursuing higher education. Deadlines: March 1, 2019 to local UMaine Extension county office; March 8, 2019 to Maine 4-H Foundation. Wayne S. Rich Scholarship — Maine in odd numbered years. NH in even numbered years. The recipient must be attending the University of Maine or a UMaine system campus. Gladys E. Conant Memorial Farm Credit of Maine Scholarship ($1,000) — Students currently enrolled at University of Maine in the College of Natural Sciences Forestry and Agriculture (NSFA). Maine 4-Her planning to continue their post-secondary education at a Maine institution whose objective is to major in a field related to commercial farming, fishing, or forest products or in another field with the intent to work in businesses related to these industries. Lafayette Hotels, Morna Rawcliffe, Bahre Family and the Western Maine MacIntyre Scholarship, and others that may become available on an every other year basis. These grants are available to members of the Penobscot County 4-H Program. They can be used by clubs for trips, community service projects and other 4-H activities. Individual members may also apply for the grants to cover participation costs in local, state, and national 4-H events. For a more detailed description, please refer to the guidelines. Grant application ideas should tie into the 4-H program priorities for Maine including club and community service learning projects, philanthropic projects that engage members in the community supporting 4-H program work, and/or new creative educational ideas. Funds can be requested for amounts from $100 to $500; on a rare occasion the grant request may be considered for more that $500. Sponsor: Maine 4-H Foundation Youth Trustees in Philanthropy. Application Form. From USDA Farm Service Agency. FSA makes loans to individual youths to establish and operate income-producing projects of modest size in connection with their participation in 4-H clubs, FFA, and similar organizations. Learn more.